E went to camp this week, on Monday morning he was ready to go! They hung out at High Park, made pizza in the outdoor ovens at Dufferin Grove, shopped for smoothie ingredients at St. Lawrence Market, and attended a play at the Fringe Festival. His friend was in the same camp and came home with us everyday for some extra play before his mom picked him up. Q went to day care three mornings this week. He had a great time with his new friends and teachers. I had drinks with a friend on the rooftop patio at the Park Hyatt this week. The Gin and Tonic was divine, but so was the view. I didn't get a great photo, but if you get a chance to go up there, take it. This guy was a sweaty mess at soccer on Wednesday but he is really enjoying it. He and his teammates are getting good at passing too. 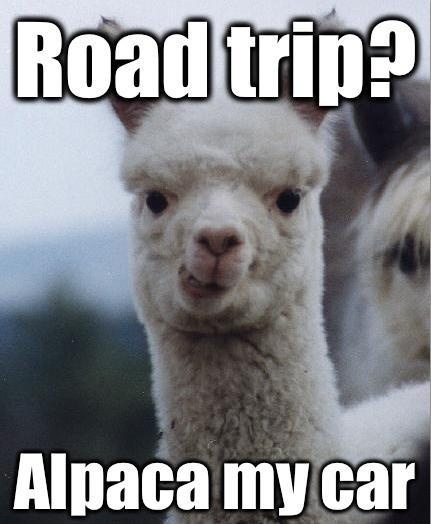 We're heading on a road trip tomorrow! I've been getting ready cleaning the car, stocking up on snacks, downloading music, and coming up with some games for the car. Audiobooks help up a lot for road trips too! Happy Friday! We're leaving on a road trip tomorrow too. I hope you have a great time on your trip!